Mary Jane Chester of Kennett Square, PA, formerly of Hinsdale, NH, passed away April 17, 2018. 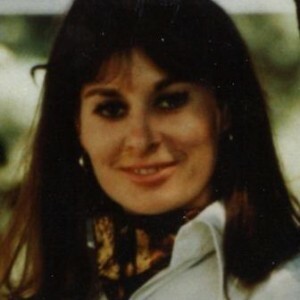 Jane was a graduate of Hinsdale High School, Hinsdale, NH and attended the University of Hartford. She spent 20 years in the horse racing industry and 20 years as a realtor in 5 different states. Jane’s unique brand of wit and humor will be missed by all of her loved ones, especially her adoring husband, Michael. This song; Love Minus Zero/No Limit describes Michael and Jane’s love for one another: “My love she speaks like silence, without ideals or violence. She doesn’t have to say she’s faithful, yet she’s true, like ice, like fire. People carry roses, and make promises by the hour, my love she laughs like the flowers, Valentines can’t buy her” (Bob Dylan). Jane was predeceased by her mother and father, Harold and Marguerite Bernier and her sister, Barbara. She is survived by her loving husband of 33 years, Michael Chester; sisters, Beverly and Carol; her brother, Bob; many nieces, nephews, grand-nieces and grand-nephews. We are very saddened for your loss. May your many years together be a tribute to the love that you both shared for one another. You are in our thoughts and prayers.Please take care and God Bless now and always. Janie, I will always treasure your friendship with my family, all the laughs as well as the tears we shared. You were truly a special, unique person. Thank you for touching our lives as you did. I was sorry to learn of Jane’s passing. May her family find some comfort for their great loss in the promise found at John 11:25.